It’s easy for a dog’s ears to become tainted with parasites, bacteria and yeast due to the curvature of the ear. Dirty dog ears aren’t just smelly and uncomfortable. If debris becomes trapped, an infection may occur. This is why it’s extremely important to check your dog’s ears regularly and prevent possible health concerns down the road. Breeds with floppy ears (i.e. cocker spaniels, poodles and basset hounds) are more vulnerable to infections and have dirtier ears by nature. Also, dogs with allergies are more vulnerable to infections than those without allergies. All dogs, regardless of breed and ear type, should have their ears checked and cleaned regularly. Ear mites in dogs are also known as otedectes cynotis mites and are generally rather mild. However, mites may become more complicated and the irritation may intensify. Dogs with ear mites typically scratch their ears and shake their heads excessively. If your dog shakes its head too much, then a hematoma may form in the ear. This is when blood pools in the ear from the breaking of a blood vessel. Ear mites are highly contagious and can spread to other parts of the body but do not affect humans. Now that you’ve got your dog ear wash, want to do it yourself and wondering how to clean dog ears? It’s important to attend to ear infections in our canine companions. Leaving a dog’s ear infections unattended can lead to hearing loss or other possible damage. Before you begin cleaning, you’ll want to do the following: Purchase a trusted cleaning solution (see recommendations above) and have plenty of cotton balls nearby. It’s important not to use cotton swabs because they can push debris further into the ear. Wash your hands before you start and wear gloves, so you don’t risk further problems. Now you are ready to begin cleaning. To begin cleaning, start on the outside and work your way in. Be sure to clean out all areas of the ear you can reach. Next, wet a cotton ball with the cleaner and wipe the inside of the dog’s ear flap. Add cleaning solution to another cotton ball and clean the inside part of the ear. Stop when you feel any resistance. You don’t want to push too far into the ear and cause damage. Although the canine ear canal is much longer and shaped differently from ours, so it is much harder to harm the eardrum. If you notice the cotton balls are extremely dirty or you notice a foul smell, you may want to consider scheduling an appointment with your veterinarian. 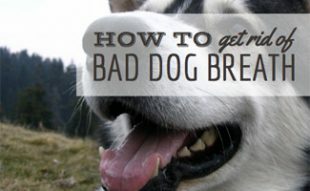 Don’t forget to give your dog lots of treats and attention for being so good! Here is a more detailed video showing you how this vet cleans dogs’ ears. A good tip he mentions is to speak with your vet about the cleaning prior to beginning. That way you know how often to clean the ears and what type of cleaning solution is best for your dog. Do not attempt to clean your dog’s ears if you don’t feel comfortable with the process. You would hate to cause damage to your pup. Instead, schedule an appointment with the veterinarian for a cleaning. Watch how the vet performs the cleaning and ask any questions that you develop during the process. 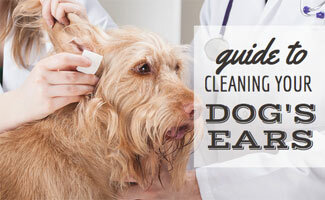 Once you have been instructed by your veterinarian, when your dog gets dirty ears, you will have the confidence and knowledge to clean them yourself. 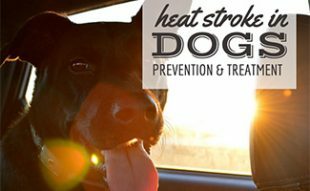 And you can reduce the costs of vet visits with preventative care and a pet wellness plan. Is your pup prone to dirty ears? So important to keep dog ears clean! 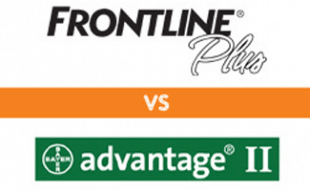 There are indeed a number of pitfalls to avoid for best results. It is good to know that dogs with floppy ears are more vulnerable to infections or dirtier ears. My parents just got a basset hound and so I am helping them research how they can care for it best. We will have to make sure to do regular ear cleanings and help him stay healthy. While kind of gross, it’s important to keep their ears clean! I have my groomer do it for me but might try doing at home to save a little money.